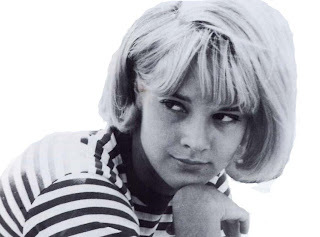 Sylvie Vartan was not only a stylish lady she was a French Pop Princess in the 60s in the wake of Francoise Hardy and Jane Birkin. Whats the Nashville connection? In 1963 she recorded an album with Elvis' backup singers The Jordanaires in Nashville titled "Sylvie A Nashville" which became a great commercial success in France!! Here is a song from the album!!! !